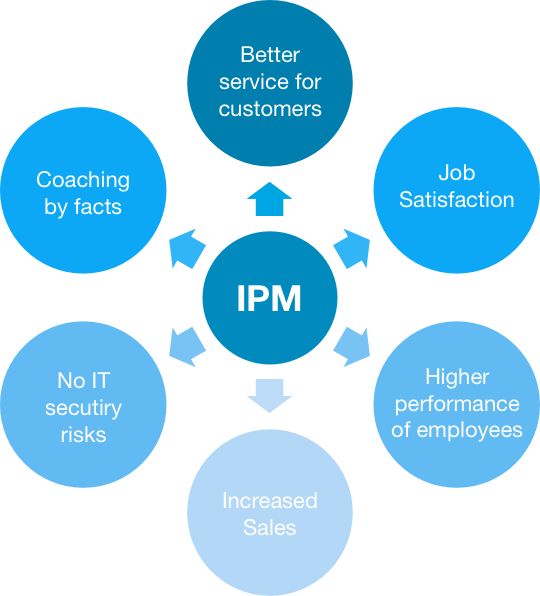 IPM is a new sophisticated solution for improving staff performance through Self-coaching, Manager Review Sessions, Online Reporting and Training based on actual on-the-job performance.  It boosts employee engagement and productivity by creating an online, multidevice, actionable overview combined with real practical recommendations and performance tracking. 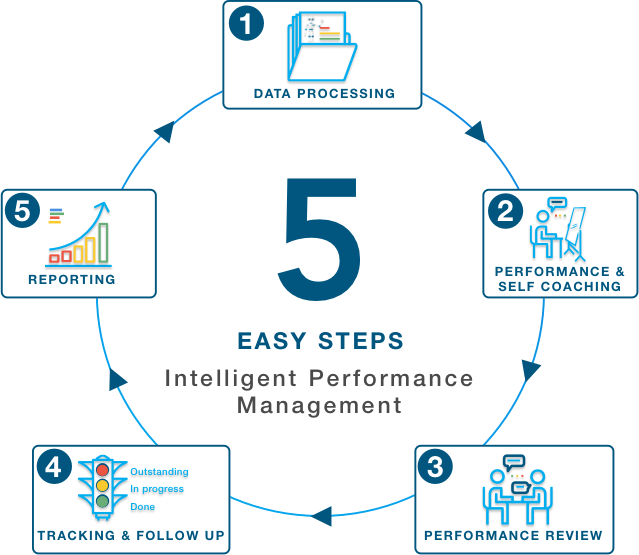 Most companies have “data overflow” – IPM helps with identifying the relevant data and provides recommendations for each individual.